CLIRSPEC Network member Nick Stone was presented with the Raman Award for the most Innovative Technological Development at the recent ICORS conference in Jena. 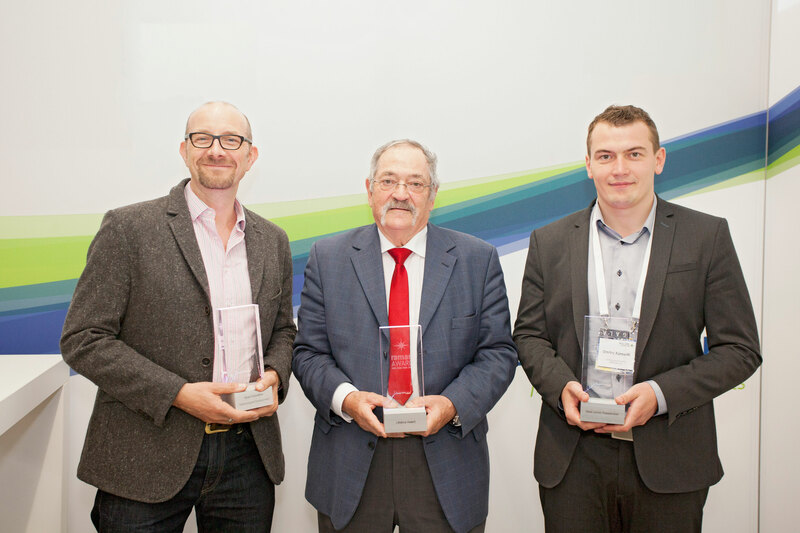 Nick Stone (left) receiving Raman Award for the most Innovative Technological Development. Also pictured are Wolfgang Kiefer and Dimitriy Kurouski (right).